Longtime customers report that Hurco machines provide greater part accuracy and superior surface finishes than many of the other machines they are familiar with, and, after purchasing their first machine, new customers also report that they too are pleasantly surprised by the machine’s enhanced performance. This is no accident, and is due to a solid and substantial machine foundation. All Hurco base castings begin with fine grade cast iron and are designed and optimized by the use of Finite Element Analysis (FEA) software. 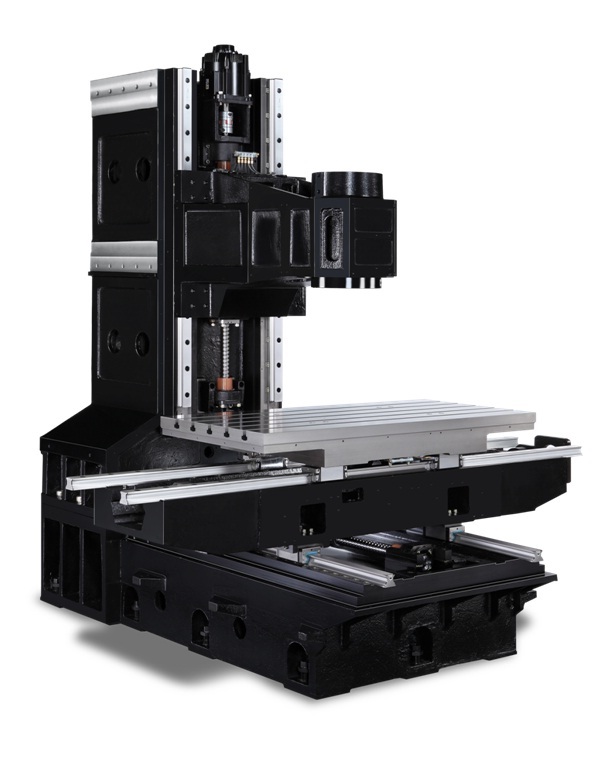 In addition to the base casting itself, this enhanced performance can also be attributed to the use of large high-quality linear rails, and to their wider than normal spread – especially in the Y-axis. 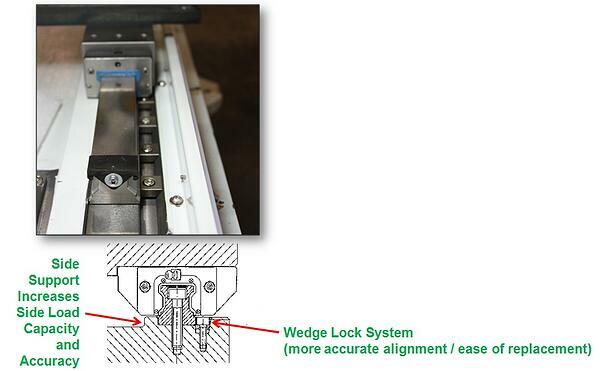 This extended width provides an extremely solid foundation for machining, and helps reduce torque forces on the linear rails and prevents twisting. In addition to the solid base casting, high-quality and larger than average linear guides – as well as the manner in which these rails are located and mounted – also help to provide the necessary solid foundation needed for heavy machining, and aid in the enhanced performance of the Hurco machine. The larger size and quality construction of these carefully selected roller ways help to reduce friction - which allows for faster and smoother machine accelerations - and, in turn, this reduced friction allows for increased accuracies. Hurco locates their roller guides against a solid ledge, machined into the base casting itself, and secures them in place with closely spaced wedge-style clamps – that are designed to increase both the linear forces against the machined ledge, as well as providing increased downward forces to keep the rails secure during machining. This design provides an exceptionally accurate alignment of the components, while still providing for the ease of replacement - in the event the unspeakable happens! 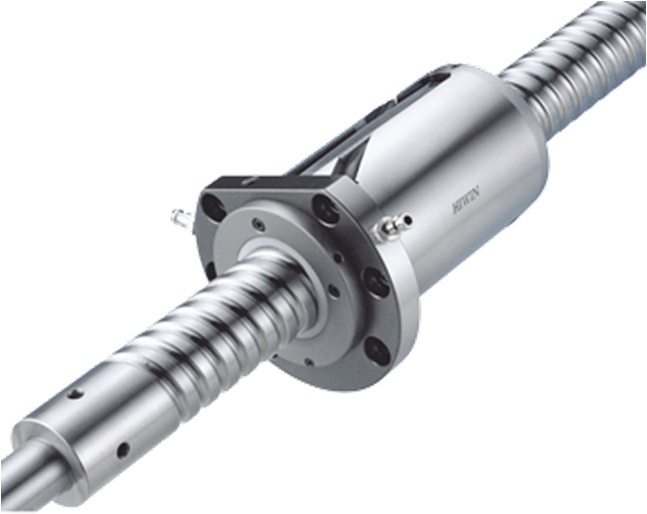 Just like the linear roller ways discussed above, Hurco utilizes larger than normal ballscrew assemblies to move the linear axes of the machine. These high-quality ballscrews are precision ground for accuracy, and their larger size allows for more rigidity and faster accelerations and decelerations while reducing friction and thermal growth – which, just like the roller guides, will positively impact machine accuracies. Also, special coatings have been applied to these components to resist damage, and will help promote superior longevity of use. All of these factors together - especially when coupled with the fact that Hurco machines have some of the heaviest overall machine weights of any machine in their class - provide the end user with a rock solid machine, carefully designed and built from the ground up, that is capable of performing very heavy cuts while still maintaining very close machining accuracies.